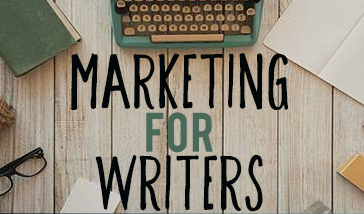 I put out a little book on book marketing in December. Since that time I’ve sold about 1000 copies (not to mention at least 5000 free downloads). I put it out to test some things so I didn’t take it too seriously. I edited it the best I could, and had some beta-readers comb through it pretty well also. We caught a lot of errors and typos. But not only did these typos not impact sales in any way, most readers didn’t notice or comment on them. Sure it’s embarrassing and I feel stupid, but would it have been worth spending at least $1000 on professional proofreading to make it perfect? No. That’s not to say editing doesn’t matter. But for a non-fiction book, most readers want content. They want facts and information. They want to learn. So they will overlook a few typos. As long as the writing is good enough to be endurable, and pass on valuable information, a few typos won’t sink your book. For a fiction book, on the other hand, the most important thing is the story. The writing can be bad, there can be typos, but if the story is amazing your book will triumph anyway. Which is why a “final proofread” is rarely worth the money, if you’re paying someone to just catch errors in spelling or punctuation. They are removing the mistakes, but they aren’t fixing the quality of the book. When you should pay for editing. An editor will rarely improve your story, unless you’re paying for a high-end service that starts with a manuscript critique and review, comments on the bigger picture issues and gives recommendations, and allows plenty of time for you to rewrite. This kind of service is much more valuable that a proofreader, but costs dearly, unless you join a writing group or find beta readers (or hire some people on Fiverr to give you feedback). You must fix the story first. For non-fiction, you’ve got to define your message – what are you saying, why does it matter, how is it unique? For fiction, the plot has to always drive forward towards a satisfying conclusion. Your writing style doesn’t matter at all, if the story is no good. Find an editor who will work with you to improve the story, before you worry about standard copy-editing or proofreading, because those things aren’t going to matter. After months of work and coaching and rewriting, the outline of your book – the main events, the flow of what happens, the organization of the content – will be much stronger. Then you can start paying attention to your writing. Is it clumsy and chunky? It should be smooth and natural. Cut it down. Weed out bad metaphors and flowery words and brain farts and adverbs. This is where a great editor can help a lot. Even if your story is really good, if you lose readers in the first few pages they won’t stay with you to finish it. Always get sample edits of the first few pages of your book to see how much it can be improved – if you can’t get anybody to read past the first few pages, the book will fail. After all that, if the writing is pretty good and the story is pretty good, put it out there. In a few weeks, you’ll have most likely caught everything and saved yourself a lot of money. 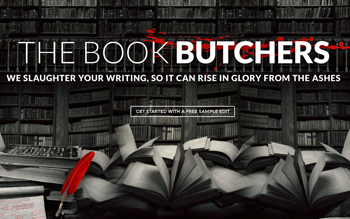 If you want to get some free feedback from the world’s best editors, check out The Book Butchers. You’re absolutely right. And even if your book does get accepted by a traditional publisher, don’t relay on editors. Books usually go through about 2 or 3 rounds of edits and editors do not pick up on everything. The more eyes see your book before it gets out there, the better. Take all critiques to heart, or at least thank the critiquer for their time. Derek, I congratulate you on approaching this touchy subject. Most writing coaches preach how essential it is to have one’s manuscript professionally proof read. But they ignore the basic economic fact that most (fiction) books will never outsell the cost. Unfortunately there are too many authors who ignore even the basic measures you suggest. Consequently, the market is flooded with stories written with appalling grammar. “For a fiction book, on the other hand, the most important thing is the story. The writing can be bad, there can be typos, but if the story is amazing your book will triumph anyway.” Sorry, but this statement may be the message being put over by school teachers these days. but in the world of wannabe authors it is so wrong. While here, may I point out the difference between ‘Typo’ and ‘Mistake’. A Typo is a slip of the finger where you type ‘hope’ instead of ‘hoop’. ‘Complimentary colors’ is a spelling mistake, plain and simple. their expertise and professionalism to ensure total satisfaction.